What to say about Savages… Hmmm, these are some badass chicks. The English quartet is known for their fierce and eerie delivery. Atmospheric guitar feedback, constant rumbling of bass and drums, topped off by Jehnny Beth’s maniacal vocals. It’s a caldron of punk-metal from down under; it inflicts the feeling of claustrophobia. 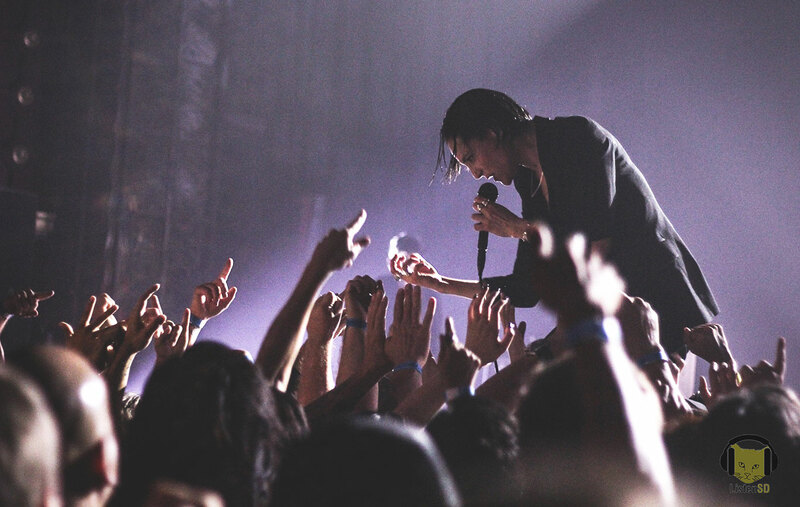 Savages approaches the stage, determination in the eyes. Blazers and bras, female furiousness, sounds boisterous and demanding. 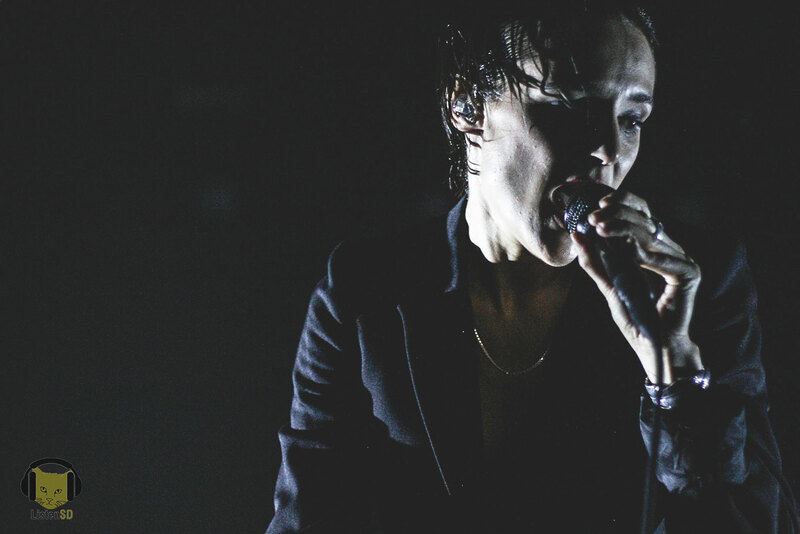 Their music doesn’t typically have a chorus, or any feel-good allure, but that’s what makes Savages so unique and intriguing. You couldn’t find anyone singing along to “Shut Up”, the forceful bass and gnawing guitar crunch just caused everyone’s heads to throb to the witchcraft concocted. It caused the performance to feel sacrificial, as lead singer Jehnny Beth crowd surfs— standing up, mind you—lurking through the crowd for her newest victim, paralleling a Helena Bonham Carter (Sweeny Todd). Slaughtering “I Am Here” the screeching vocals and blazing lights following dumping cymbals smashed by drummer, Fay Milton. At times, the music was almost too intense, clumping into a cosmic bundle, drowning out the vocals. Although, you could not keep your eyes off of these ladies. Bassist, Ayse Hassan’s consistent sway along Savages’ head-bobbing rhythms and guitarist, Gemma Thompson’s dead-pan stare. The slow birth of “Adore” off their newest record LP grasps the audience’s eyes and ears. The five-minutes of steady tremble contains the bare essentials; a sly bass line, simplistic drumming, and spacious guitar feedback. It develops into a anxious build-up that abruptly ends, leaving you in the dust. These gorgon goddesses slayed San Diego’s The Observatory, with a grand finale joined by show openers, Vengeful Barbers on the vulgar, “Fuckers”. A bow and goodbye saved everyone on the encore, escorting themselves off stage, leaving the night on a high note.